We are greeting you to a 14th century inspired video slot where you get to meet the French astrologer, the doctor, the philosopher, and the mathematician Michel de Nostredame. He is foremost famous for being able to see into the future and events. 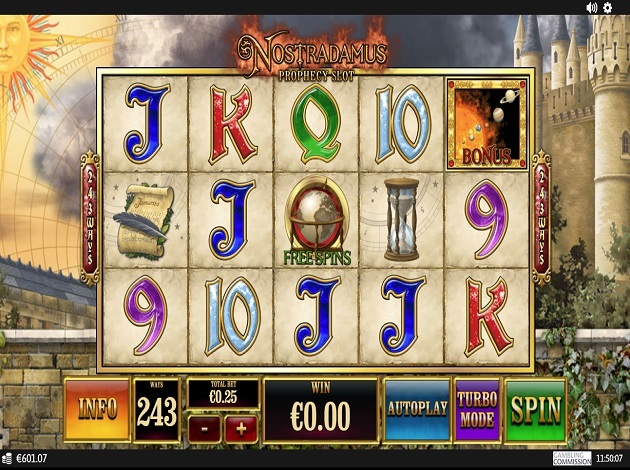 Playtech are the ones providing us with an adventure alongside him in the video slot named Nostradamus! PlayTech was founded in 1999 in Estonia by entrepreneurs from both the casino, multimedia and software industry. They have always strived to compete with the largest game developers by delivering incredibly well-made, entertaining and innovative online casino games with a really high standard. Their journey has certainly been a real success story and they have now more than 80 online and land-based customers. The year 2006 was a tremendous year for the company when their shares were listed on the London AIM and PlayTech officially became a public company. The company was listed on the London Main Market in 2012 and expanded after with the acquisition of the UK’s leading sports betting provider Geneity. Their headquarters is based on the Isle of Man and they have over 3,600 employees in offices in over 10 countries around the world and they are getting bigger every day. They operate in many parts of online gaming and offers fantastic games on all platforms in areas such as online casino, poker, live games and sport betting. PlayTech have always used the top modern technology and you can play their games on your PC, mobile device or tablet whenever you want and wherever you want. Some of the games from Playtech are; Great Blue, Buffalo Blitz, Gladiator, White King, and The Great Ming Empire. This time, they are granting us Nostradamus! Here, we are greeted by a game inspired by a person living in the 14th century, of course, I am talking about Nostradamus. It was said that he was a man with the capability to predict the future and its events. If that was actual true, will stay unclear for now – but in this video slot it certainly looks as if he can. The symbols you can see on the reels are all made to suit the theme of the game perfectly. The lower valued symbols are represented by the classic card deck symbols which stretch from 9 to Ace. These can award you between 20 and 70 coins for a 5x symbol combination. The medium and higher valued symbols are then of the Nostradamus and his belongings. The medium symbols are the letter and the pen which can both award you 100 coins, the hour glass which can award you 200 coins, and the telescope that can award you 150 coins. The higher valued symbols are of the book of Nostradamus which is worth 300 coins, while Nostradamus himself can award you 500 coins! Apart from these basic symbols, Playtech has also made sure that there are a few extra special symbols to keep a lookout for. These are the Bonus symbol, the Free Spins Scatter Symbol, and the Wild Symbol. We will get more into which these and how they work shortly. The Wild Symbol is the symbol of the full moon and it can step in to replace all other symbols apart from the Scatter. This can help you get your hand on some extra winning combination. When you start Nostradamus video slot, you are instantly struck by the beautiful and majestic castle, one standing tall in front of the shimmering moonshine. After that you can see a short introduction to the game, and by pressing continue or watch it, you are taken further to the game. When you are in the game, you can see the reels in the middle of the screen and they are all placed above the majestic castle mentioned above. To the left, you can see the bright and big sun, and to the left you can see the castle. Above the reels, you can see the game logo and beneath the reels you have the control panel to make all desired settings. The graphics and designs of the game are very well-made and everything displays the life of the 14th century in a flawless manner. While playing, you can hear the music effects which are all soothing and cool, with a twist of the classic slot machine sounds. Nostradamus is a video slot offering 5 reels on 3 rows and a staggering 243 ways-to-win. The minimum bet is of €0.25 and the max bet is of €100. 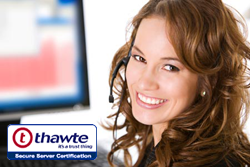 You can set these easily with the help of the + and – signs on the control panel. Nostradamus is quite generous when it comes to Bonus games, it offers not only one, but two grand Bonuses. This Bonus game is triggered when you land on three or more of the Bonus Symbol. This is the symbols showing the sun and its nearby planets with the text “Bonus” written on it. This can be found on reels 1, 3, and 5. Here, the planets will start spinning around the sun and when stopping on a payline it will award you the multiplier displayed there. You might have the luck to land on up to a total of 6 planets. The features are Earthquake, Lightning, and Tsunami. You can read more about all of them under “Info” on the control panel. The Free Spins cannot be re-triggered and you cannot trigger other Bonuses during these features. We hope that you will enjoy the game as much as we do! Good luck! A few editions by Playtech are Buffalo Blitz and Halloween Fortune 2.